This Holiday season, in addition to seeing Lucasfilm’s Star Wars: The Last Jedi in IMAX cinemas, film fans can now join the Force and step into the Star Wars universe with two exciting virtual reality experiences at the newly launched IMAX VR Centre at the ODEON at intu Trafford Centre. Star Wars: Droid Repair Bay and Star Wars: Trials on Tatooine are both now available at the recently launched state-of-the-art experience centre in Manchester, which invites guests to experience other worlds with immersive, multi-dimensional virtual reality experiences, including movie entertainment content and games. 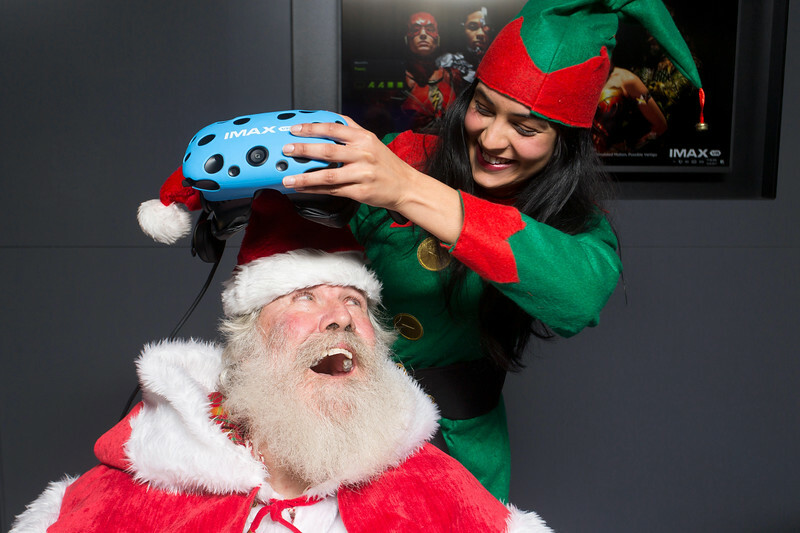 FREE FOR EDITORIAL USE - Santa takes a well-earned break from his Christmas preparations at the IMAX Virtual Reality Experience Centre in Manchester. Newly launched experiences - Star Wars: Droid Repair Bay and Star Wars: Trials on Tatooine are now available at the state-of-the-art IMAX VR Experience Centre, at ODEON Trafford Centre, Manchester.